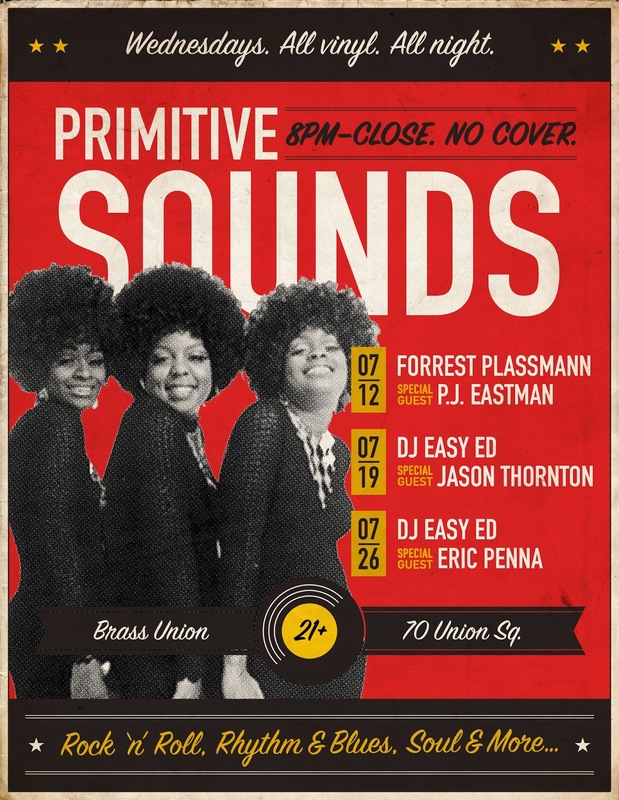 July 14 Broadcast/Primitive Sounds/Cranktones and More at The Midway July 22! Happy mid-summer, and I hope all's well with my listeners. Feel free to get in touch via Facebook and let me know. If you hear records or bands that might be a good fit for the program I'd love to hear about it--let me know. Thanks for listening too! If you missed last night's show you can find the free archive here, along with a few years' worth of previous broadcasts. Remember that we have a huge rockin' show coming up at the Midway next Saturday night (July 22): Roy Sludge, the Cranktones, the Fearless Leaders, and the Barley Hoppers (with Easy Ed's Record Hop). Advance tickets available at the Midway's site. 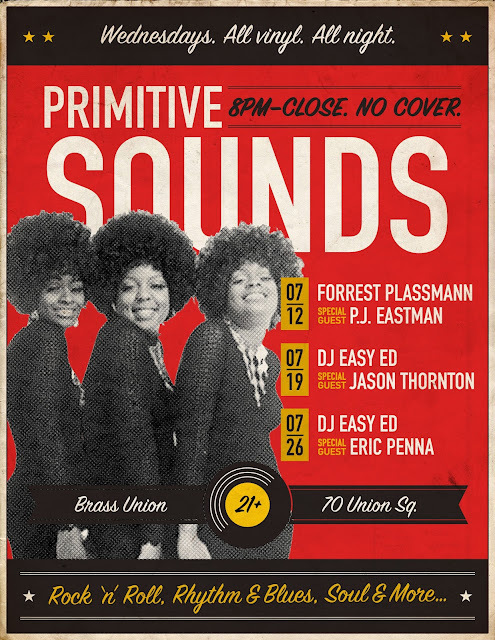 On July 19 I'll be spinning the Primitive Sounds at Brass Union in Somerville with my special guest DJ Jason Thornton. 8:00 PM start, no cover, excellent food and drink. Hope to see you there! 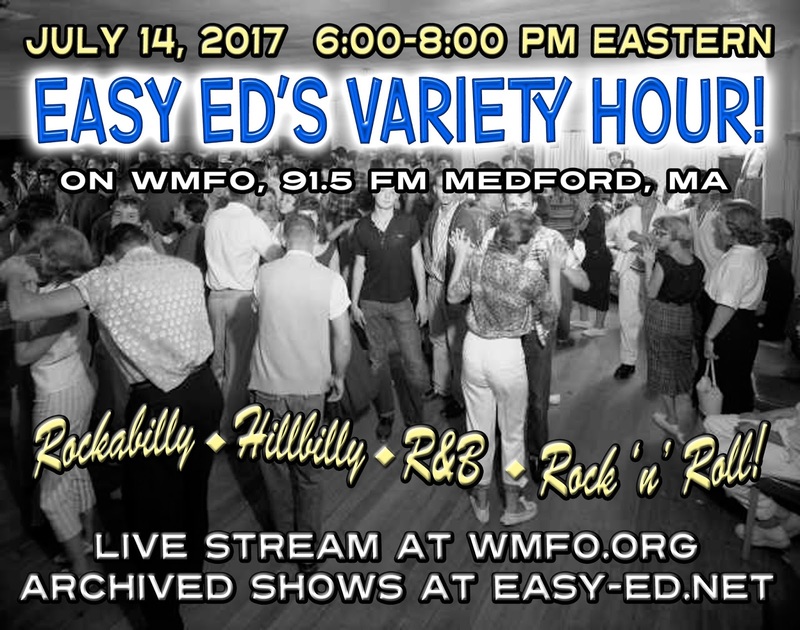 Here are the songs from the July 14 broadcast. 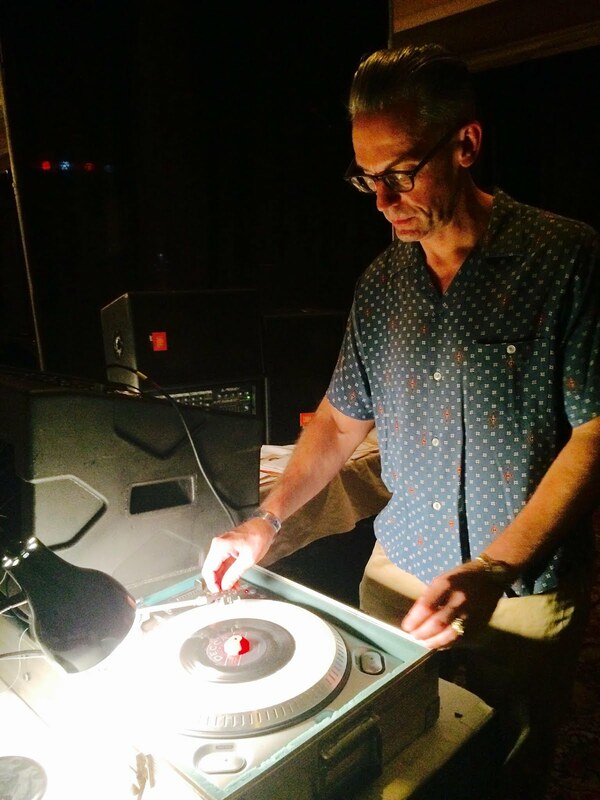 The Cranktones “Rock On” from n/a on unreleased — See the Cranktones 7/22 at the Midway! Along with The Fearless Leaders, Roy Sludge, The Barley Hoppers, and Easy Ed's Record Hop. Jackie Lee Cochran “Hip Shakin’ Mama” from n/a on Sims 45 — Sims Records 1956. This one goes out to our good friend John Duke Wales, whom we lost two years ago. Roy Sludge (The Coachmen) “Gooseball Brown” from The Turner Session on unreleased. See the Roy Sludge 7/22 at the Midway! 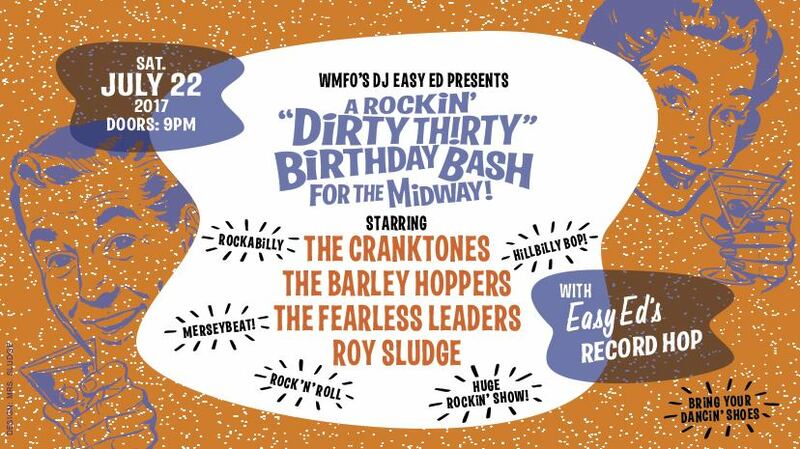 Along with The Fearless Leaders, The Cranktones, The Barley Hoppers, and Easy Ed's Record Hop. Eddie Angel “Love is a Swingin’ Thing” from Eddie Angel Meets The Beatles on Spinout Records — Spinout Records. 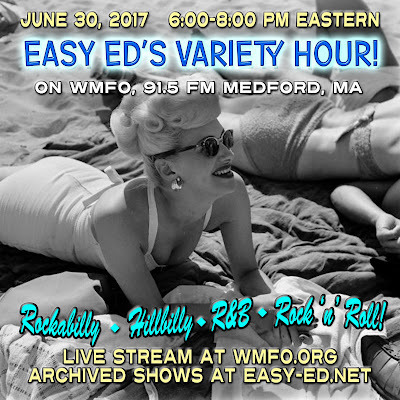 See Eddie Angel with Los Straitjackets August 18 at The Sinclair in Cambridge. The 24th Street Wailers “Aim to Please” from Wicked on The 24th Street Wailers — See them at The New England Shake-Up! If you missed last night's broadcast you can find the (always free) archive MP3 right here. The songs from this week's show are listed below. 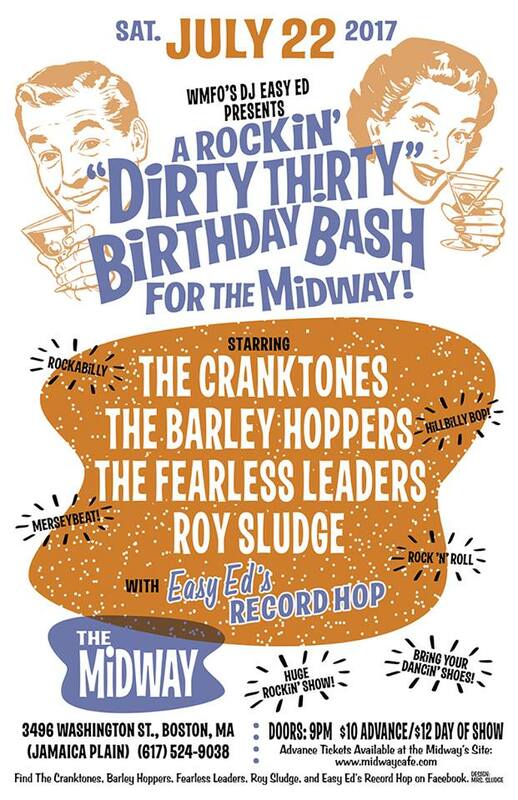 Remember that we have a huge rockin' show coming up at the Midway on July 22: Roy Sludge, the Cranktones, the Fearless Leaders, and the Barley Hoppers (with Easy Ed's Record Hop). Advance tickets available at the Midway's site.